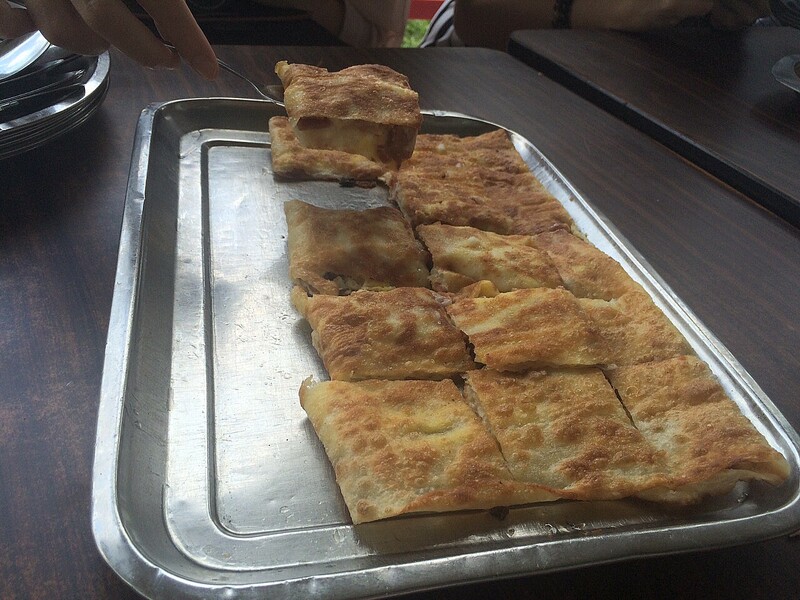 The Prata Place is started, and run by Mr. Gunalan, who is part of the family that owns Casuarina Prata as well. 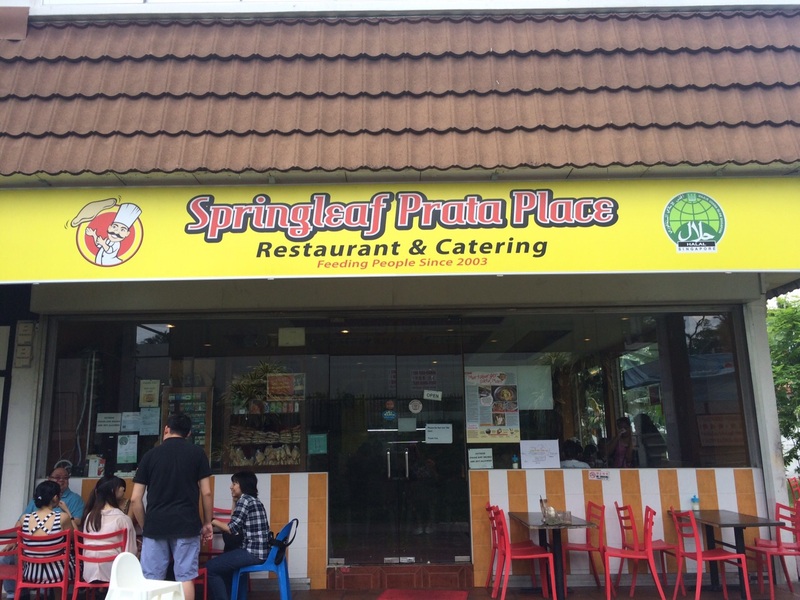 The Prata Place has recently started their 3rd outlet in Bukit Timah area. The Prata Place has a different concept from the Casuarina concept. One can easily find a wide variety of affordable food items here, served by friendly staff in casual, comfortable settings. Pappadum Chips (SGD$0.60 per serving) and Lime Juice (SGD$1.70) were definitely the starters in this hot sweltering weather, while we browsed the menu for more food items to order. 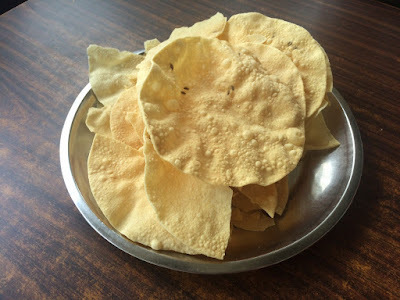 The chips - whether eaten on their own, with curry or bryani, were addictive. We stared with the Ultimate Murtabak (SGD$12.00), one of the special items featured in the 2012 Ultimate Hawker Fest. Mr. Gunalan believes strongly in being innovative even in his food creations, so here is it - tandoori chicken, portabello mushroom and lots of mozarella cheese swathed in thin prata crusts - indescribly good. 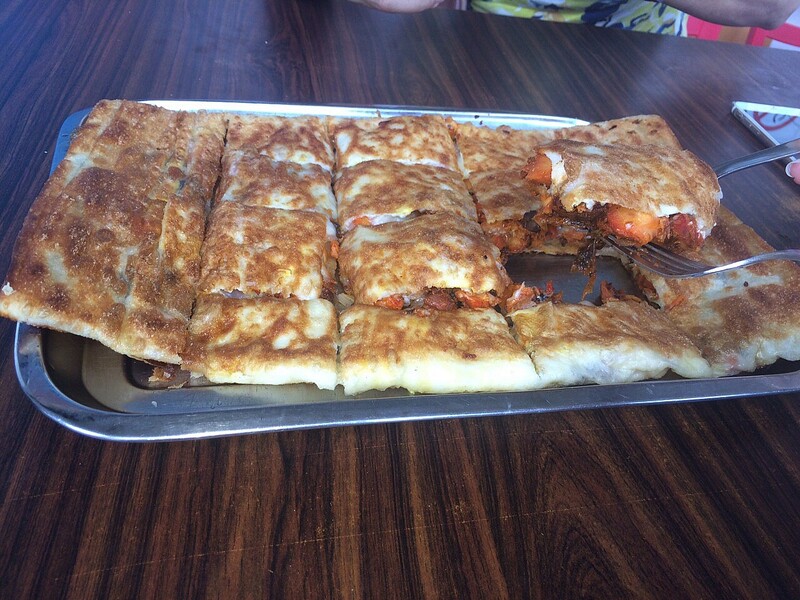 The crust was crispy, the tandoori chicken was tender and tasty; mushrooms added strength to flavour, and the cheese was divine. 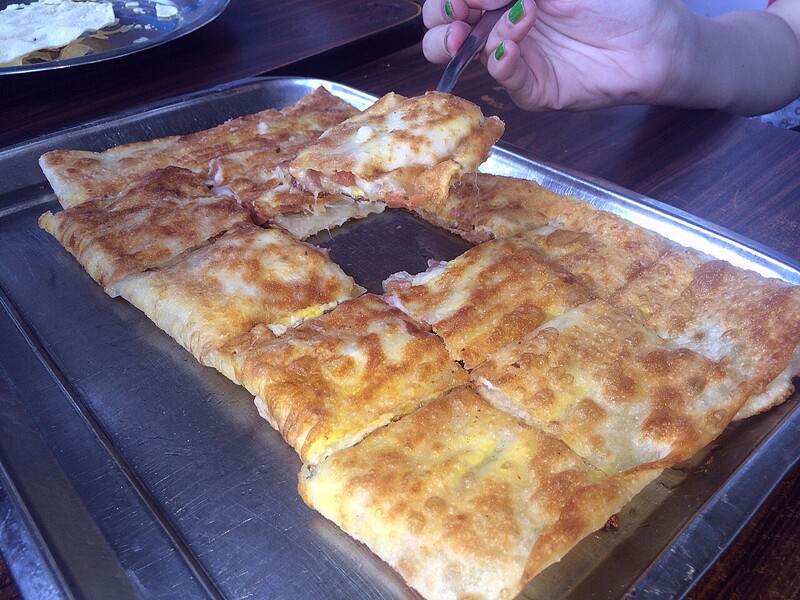 This dish hit all the right chords of the palate, living up to its name proudly. 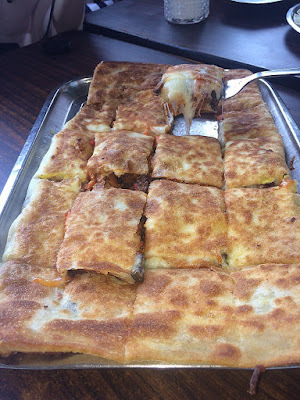 Next, the Umami 50 Murtabak (SGD$8.00), the special prata for SG50, consisting of chicken luncheon meat, eggs, chicken floss and cheese, resulting in a delectable blast of flavours and texture - succulent chicken luncheon, sandy-textured fine filaments of floss, and creminess of the cheese all assembled within crispy, thin prata sheets. This is truly a delight. 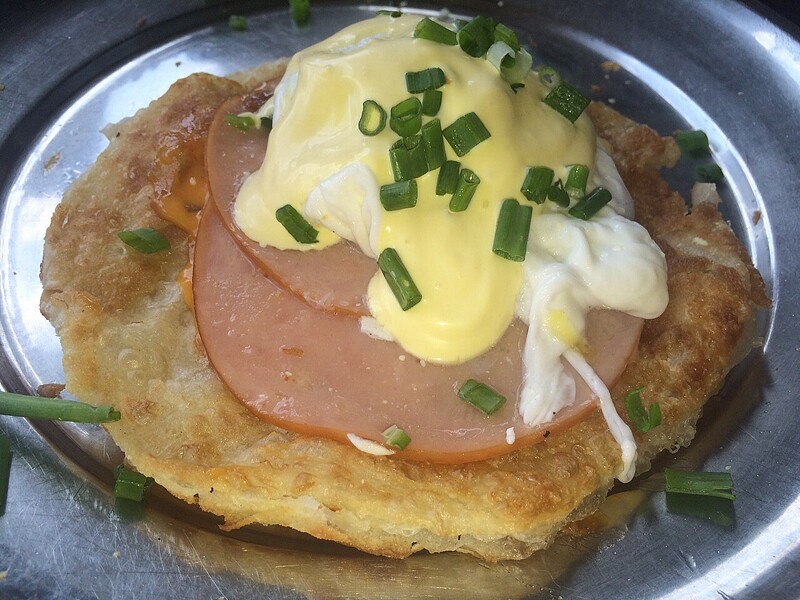 Finally, the Plaster Blaster (SGD$5.00), created for the Ultimate Hawker Fest in 2014. This was an adorable rendition of the traditional western's Eggs Benedict breakfast - but what truly inspired Mr. Gunalan was the rising of the golden sun during a family vacation, giving him a vision of this amazing creation. 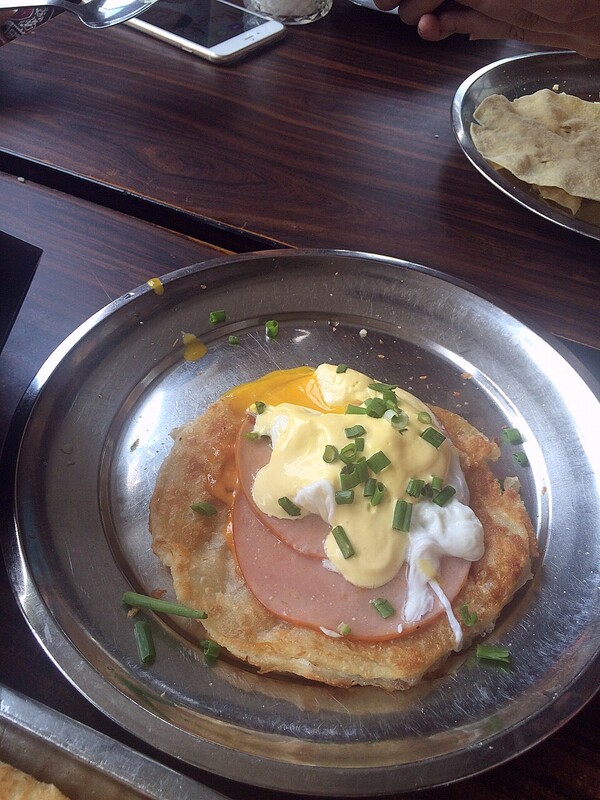 The poached eggs ran beautifully over the ham and prata, giving us a joyous brunch blessed with western-eastern fusion. 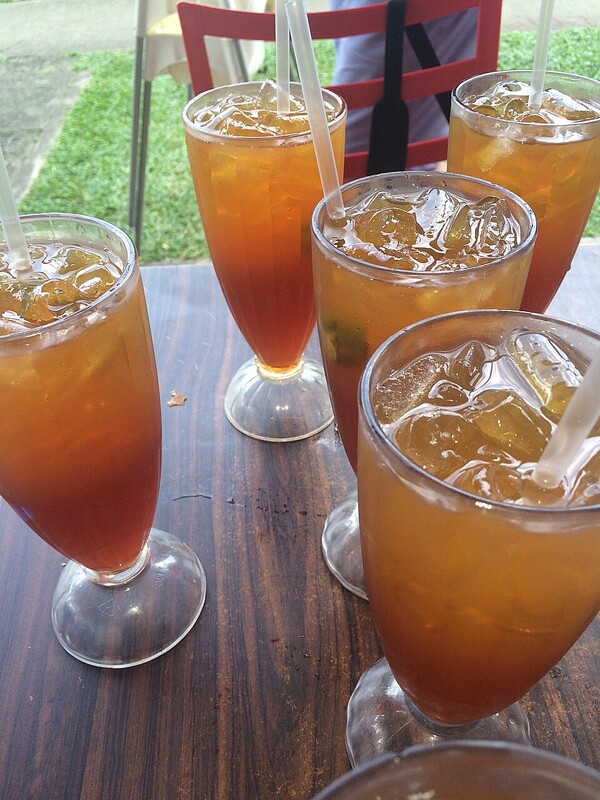 All the dishes were served with small plates of curry on the side - fish, chicken, mutton etc. Overall, the dining experience at The Prata Place was fun, enjoyable and we truly enjoyed these interesting discoveries. 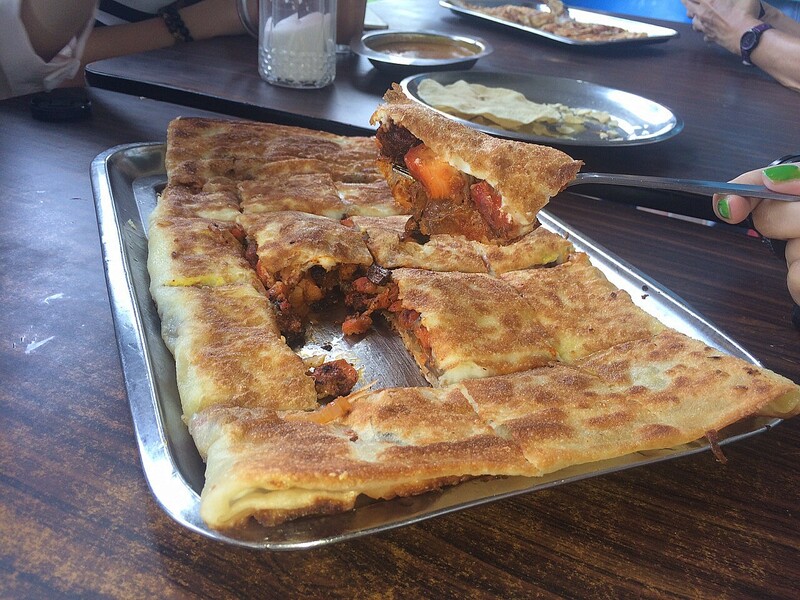 Come by and try some innovative pratas yourself. 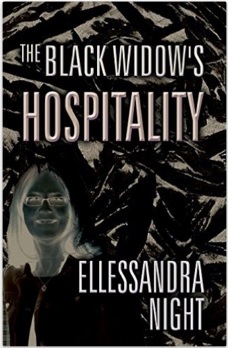 Author of "The Black WIdow's Hospitality"
This may not be a very famous blog and the author may not be a celebrity, but note that ALL contents herein (including but not limited to photos, reviews, poetry, views, opinions and events coverage etc) remain the sole property and copywriter of the author. All photos or borrowed quotes that have been credited accordingly belong to the intellectual property of their respective owners. No part of this blogsite may be used in part or in whole without express or implied written consent of the author in any personal or commercial capacity; no part of this blogsite may be reproduced, modified, adapted, distributed, published, displayed, uploaded, posted, tramsmitted or dealt with in any manner and any form without the author's knowledge and consent. Kindly credit the author should any photo or content be used, even if consent has been granted. Should any losses or damages arise out of unauthorised usage of any content of this blogsite, the author of this blogsite is fully indemnified and you alone shall bear the full consequences in terms of actions, claims, proceedings and costs. Should any part of this blogsite be used for commercial purpose and / or monetary gains without the consent of the author, you shall also bear the consequences in the form of refund to the organisers or giving up of the prizes to the rightful author. Unless a post is written based on an invited tasting session or an article herein is a paid advertorial, note that the contents are written in full integrity and honesty to the best knowledge of the author (all and any similarities are purely coincidental) and you will NOT have the right to ask the author to amend, edit or modify any part of the posts herein to suit your own preference. You may clarify and inform if there has been errors in the reviews or events coverage and it is up to the discretion of the author to decide whether an edit is warranted necessary. 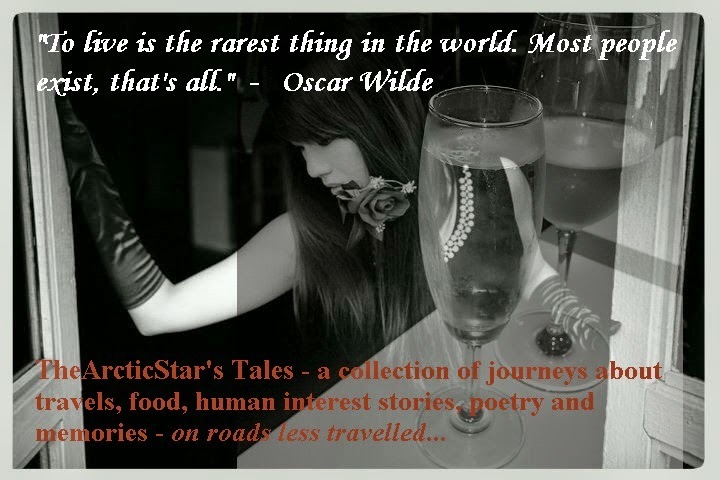 Food and beauty reviews are tested by the author and you may use it as a reference; however the author shall not be liable for any skin allergies, food allergies or other consequences the readers may suffer from - kindly seek compensation or readdress directly from the respective sources. The works herein are highly regarded by the author herein, especially the literatary writings, and constant checks are being conducted to ensure that no pilferage of contents has been conducted. Should any unauthorised use be spotted, the necessary actions shall be taken without further warning from the author. All Rights Reserved.